Manufactured from 1215 carbon steel and dipped into a rust preventive, unhardened steel dowel pins are easier to machine than the standard steel dowel pins. These multipurpose, low-strength pins have two chamfered ends. They are slightly oversized for a tight fit. Dowel pins are machined to tight tolerances. The holes that they go into are reamed holes also with a tight tolerance. We understand that precision is important when it comes to dowel pins and the tolerance specifications are tight. The slightest discrepancy in dimension can be detrimental to your entire project; that’s why we take great care in not only manufacturing dowel pins, but also in helping you find the ideal product for your application. 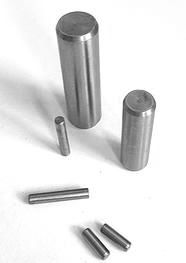 Even though we have the most popular dowel pins that can find an application in any type of project, we also take custom orders in case we don’t have the pins specific to your requirement. If you don’t know which dowel pin you need, you can talk to one of our experts and they would be happy to guide you in the right direction and recommend the ideal dowel pin to get the job done. Our customer representatives are standing by to speak with you. Let us know what you’re looking for and we’ll either help you find the best match or gladly manufacture it for you; at Suburban Industries, our expert team is capable of manufacturing custom dowel pins to suit your unique requirements. 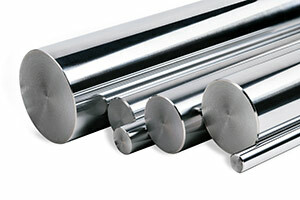 Browse through our Product Catalog and peruse our assortment of unhardened steel dowel pins. Be sure to contact us at sales@sub-ind.com or (630) 766-3773 for more information.